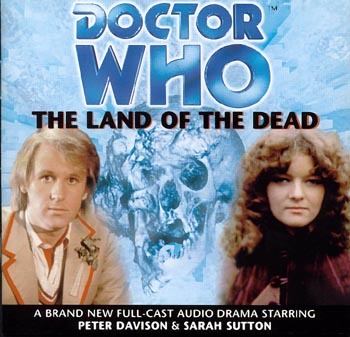 My Review of the 5th Doctor Adventure Land of the Dead staring Peter Davidson as the 5th Doctor and Sarah Sutton as Nyssa (Big Finish Adventure #4) is available at Amazon.com here. It’s interesting to note that counting the first adventure which featured Doctors 5-7, three of the first 4 Big Finish Doctor Who adventures featured Peter Davidson. This was before the series settled into the routine of the past few years where you have three consecutive stories in the same line with the same doctor released sequentially. As always you can pick this up at Mike’s comics. You can also listen to a trailer the adventure here. Q: When will all those who screamed bloody murder at the firing of US attorneys under GWB make a fuss about this ruling? And remember this is not the firing of US Attorneys that the White House has the right to fire at will. This is the firing of an inspector general who looks within. At the very least Paul McGann will guest star with Matt Smith before that ever happens. With the 50th anniversary only a few years away that is actually not unlikely at all. Go and set up a Proxy server and watch the first part of the two part Doctor Who finale RIGHT NOW! It it too good to wait for. 91.103.185.182 port 80. Go and grab it before it wears off. Don’t wait the three weeks for the US version do it now! It’s that good! If you absolutely insist on watching the episodes before it first they are available on that site too. The world cup has nothing on it. 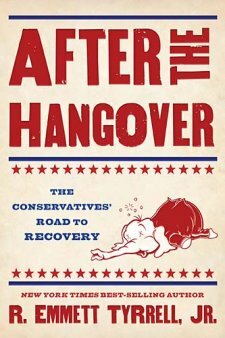 My review of R. Emmett Tyrrell’s latest book through the Amazon Vine Program: After the Hangover the Conservatives’ Road to Victory is available at Amazon.com here. After reading Tyrrell’s book I see why Stacy McCain likes him so much and also why he spends so much effort to link and promote other conservative bloggers.